Accutech is a manufacturer of thermoformed parts including blisters, clamshells and trays. We also produce paper and paperboard packaging, custom and stock kraft mailing bags, merchandise bags in addition to providing contract packaging and RF sealing services. Accutech started in the custom thermoforming business in 1986. Since then, our company has now grown to encompass all aspects of the packaging industry. 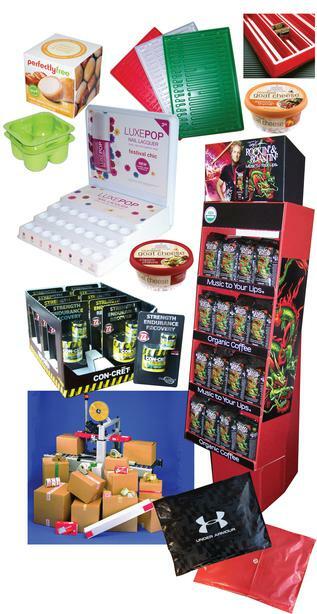 We truly are a one-stop supplier for all of your packaging needs! Please take a moment to look around this site. As the majority of our work is custom, these are just some examples of our work. Please contact us to discuss your particular project. A commitment to quality is the only way to assure customer satisfaction and long term profitability in the markets we serve. We are committed to meeting and exceeding our customers quality expectations by demanding excellence from ourselves, our people and our suppliers.